Balloons were first used primarily for recreational flights. In the early 1800s, balloonists added daredevil stunts to attract paying audiences. This photograph shows one such stunt from the early 1900s. 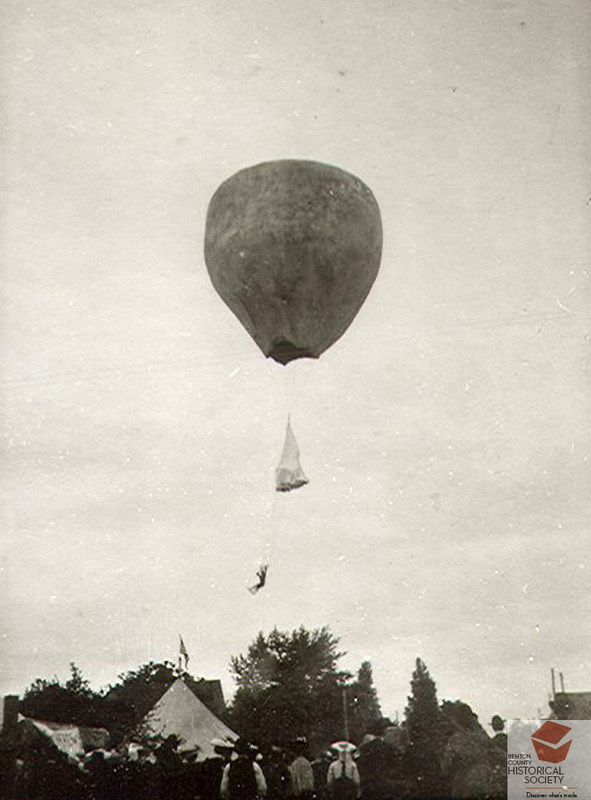 The balloonist also offered rides from the courthouse lawn across the Willamette River for 25 cents. The passengers would then return to Corvallis by ferry.